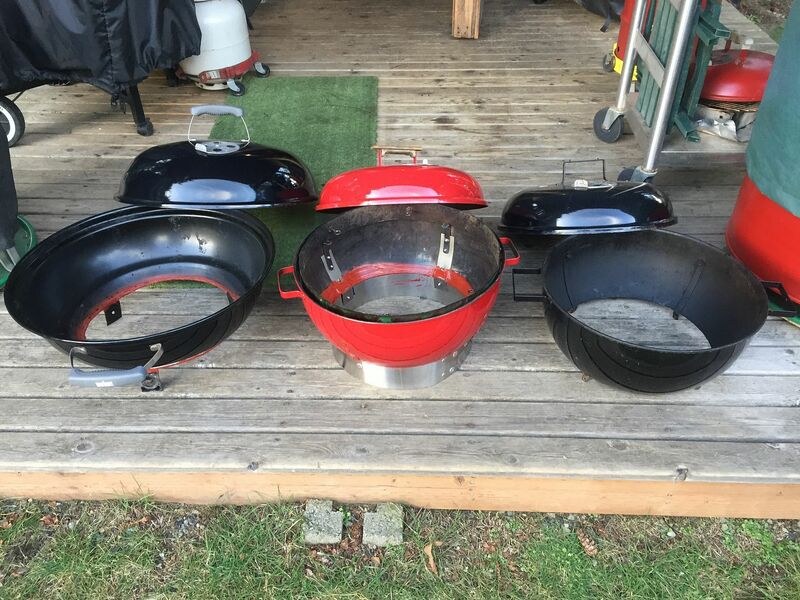 Fire Pit conversion - Euro Weber? Don't know if this is the right area to post it, if it's not please move it. 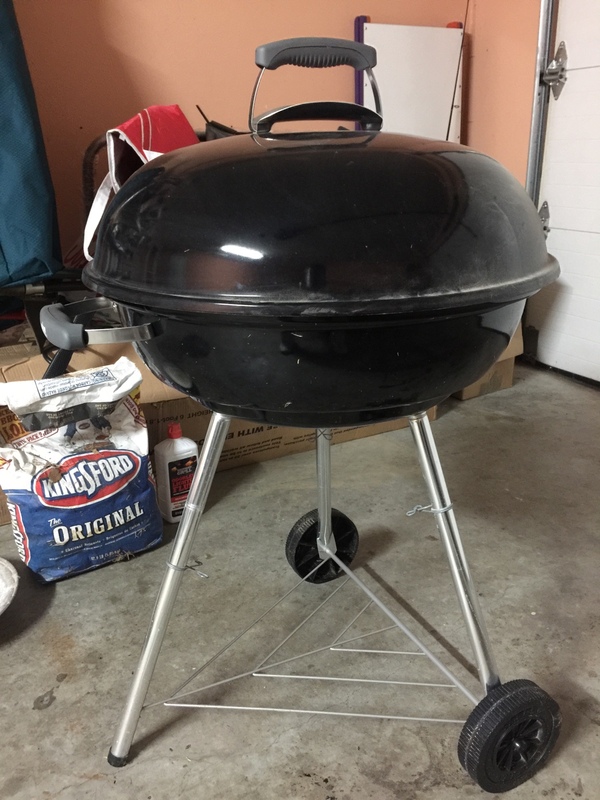 My fiancé bought me another weber charcoal grill. I was talking to her about converting one into a fire pit as it would be great to have one for camping and music festivals. So she found one on Craigslist and bought it for $25. When I arrived home she showed me the grilled and was left confused. 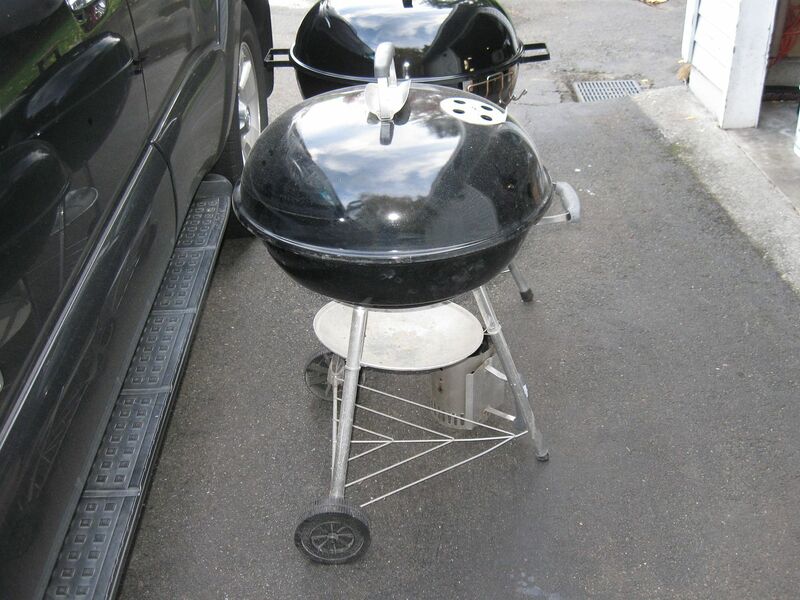 I couldn't find much info on it but I think it may be a euro weber. Can anyone confirm? I don't like the look of it but I will roll with it anyway. Are there any threads that show how it's done? I have a general idea but would like to go through the thread for reference. If not, no big deal. I'll still post pictures of what I did. Thanks in advanced! 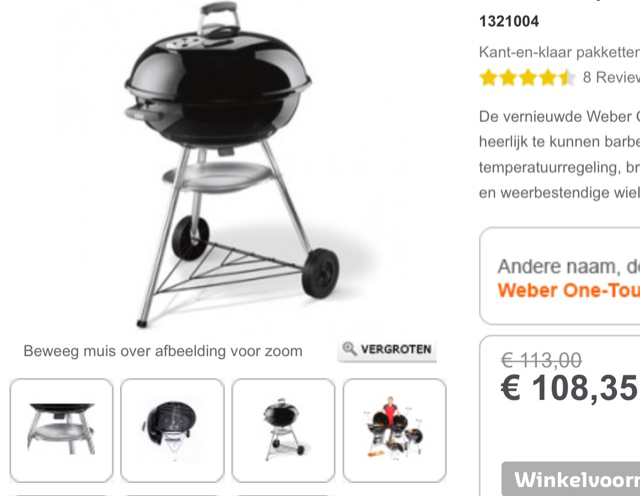 Re: Fire Pit conversion - Euro Weber? 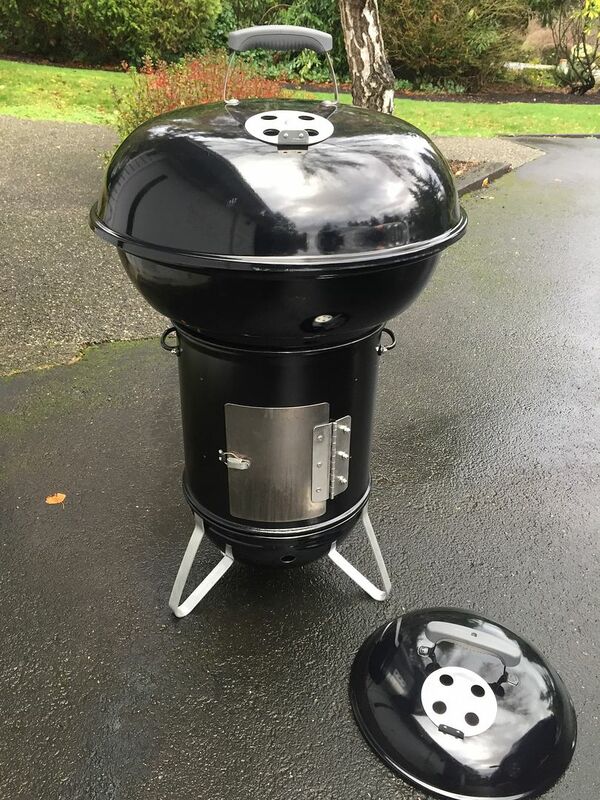 Yeah, that's the econo / Euro POS Weber kettle. 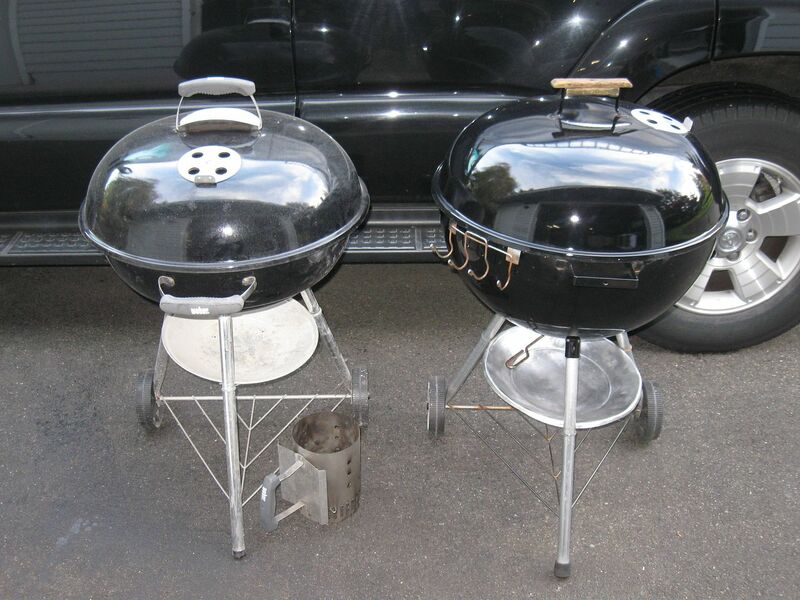 A good candidate for a fire-pit. poor little cooker , the rodney dangerfield of webers . still better than the painted crap in most stores lol . 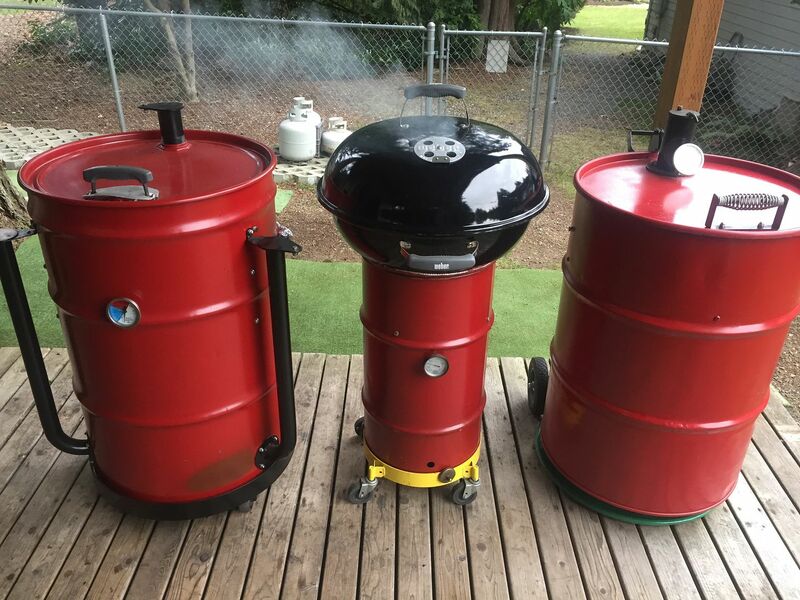 The best part is that your Fiance is a great, she's a Weber Hunter! I preferred to go to the extreme and chop the bowl and use it on a 15 gallon drum and Mini Cajun Bandito. Known far and wide as the "Larry Beercan Fischer Mod!" 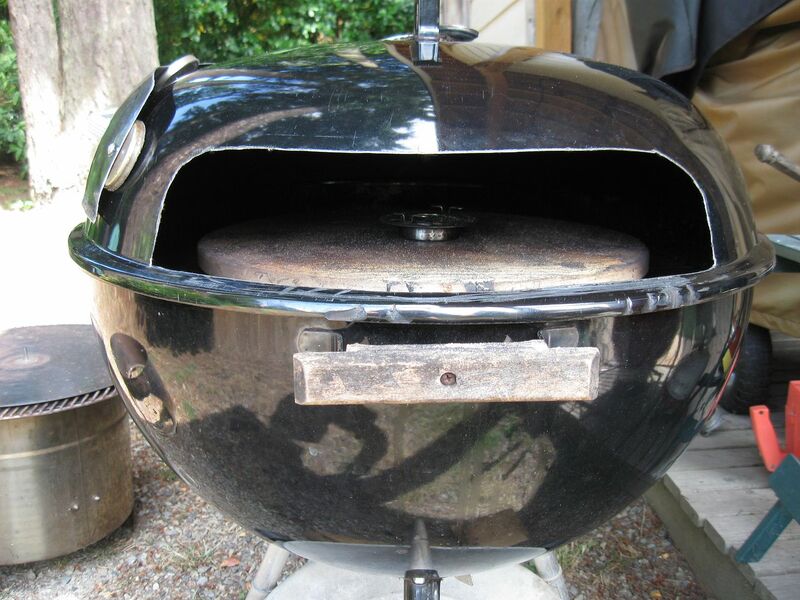 Personally I think it would make an awesome pizza oven - chop -top the lid and the cook grate sits right at the lip of the bowl and the charcoal grate is @ 1.5-2" closer to the top grate and the squat bowl make it even more attractive for pie cooking. @swamprb that is cool. Don't think I can do that. Not skilled enough.